I recently received my sketch that one of your artists (Joy) did for me - Great Job! Throughout the project I seemed a little picky but Joy was incredibly patient and in the end she developed a great sketch. 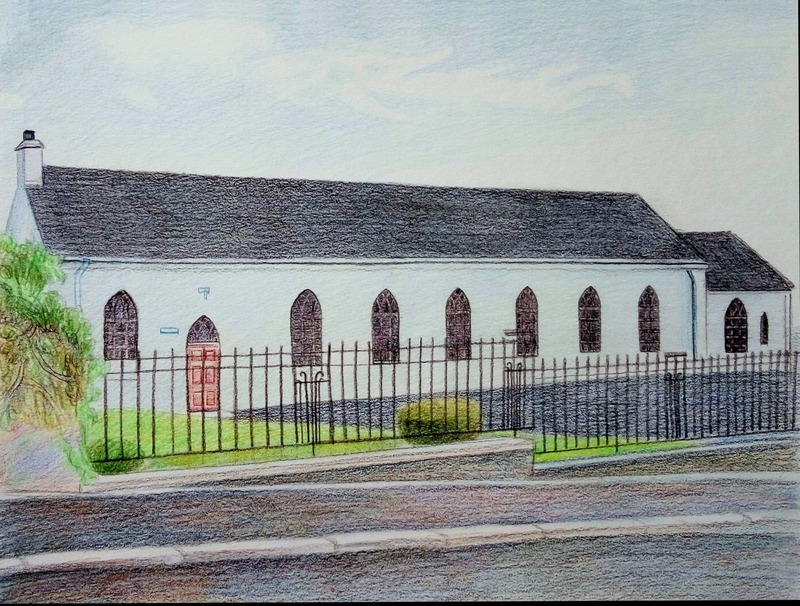 It is a colored pencil sketch of the church in Ireland where my Great Grandfather was baptized. All I had to go by was a current photo of the church I downloaded from the web. Joy was able to sketch the church as it probably would have appeared in the 1820’s (when he was baptized), i.e.she was able to eliminate any signs of modern day life such as cars and overhead electrical service lines etc. I (and my family) now have a great piece of art and family history - thank you again.